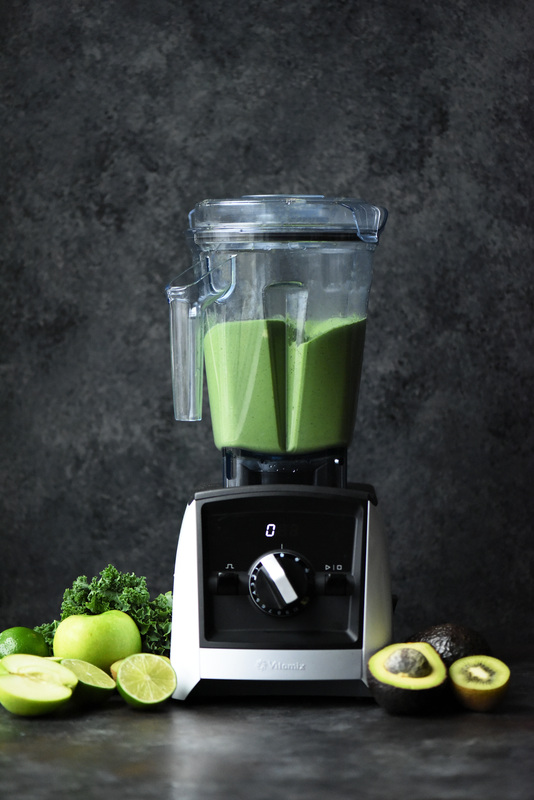 This Mother’s Day, we’re bringing you a recipe developed in our new Vitamix A2500. It’s a recipe we’ve had in the works for a while, and the perfect opportunity arose when we partnered with @thefeedfeed & @vitamix to develop a recipe! This blender is truly phenomenal; it has absolutely changed our smoothie bowl game (no more frozen bananas jamming the blades!) thanks to the tamper, which allows you to stir things up while it’s blending so it never gets stuck. Sounds too good to be true? Check it out for yourself! Because we make way too many smoothies, we decided to change things up a bit with these super green ice pops! They’re packed with kiwi, avocado, green apple, lime, coconut milk, a bit of kale & a hint of spirulina to keep you extra healthy and hydrated this summer. Plus, the recipe only requires about 10 minutes of hands-on time, so it doesn’t get much better than that! Pre-chill ice pop maker in freezer for 15 minutes. Slice extra kiwi into thin rounds. 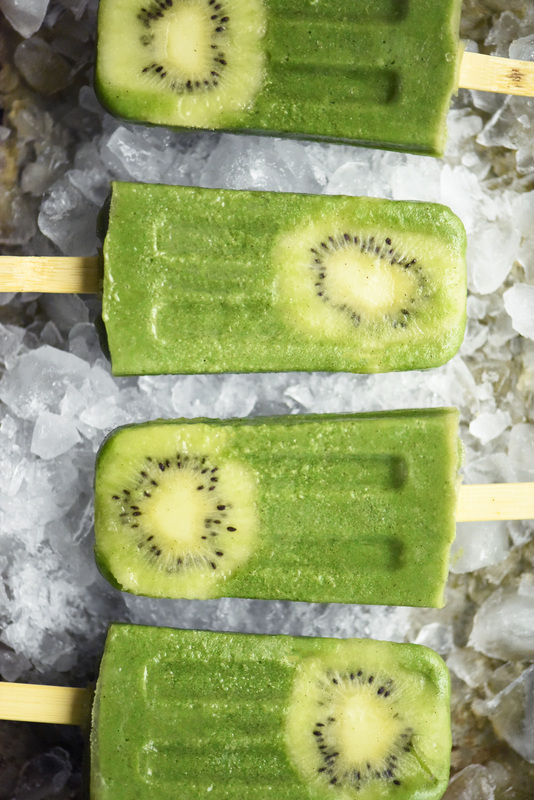 Remove the chilled ice pop mold from the freezer and wet the kiwi slice in water, and push it down to the side of the ice pop mold. Return immediately to the freezer so that the kiwi has time to freeze. This will keep the kiwi slice in place when you pour in the rest of the mixture. Meanwhile, blend all other ingredients in a high-speed blender. Remove the ice pop molds from the freezer, pour the mixture evenly into each mold, and tap lightly on the counter to remove air bubbles. Freeze for 4-6 hours, or overnight!